As a young man returns home after his first year away at college he recalls his senior year of high school and the iron-willed, big city girl that turned his world upside down. Why can't our TV programming be this good? TV movie or not, this was an outstanding film. Terrific direction, animation, and writing. As others have stated already, it is a film with a great deal of subtlety, so if you think great acting is Julia Roberts screaming at the top of her lungs, then you might not appreciate this film fully. It ranks among the best animated films I have watched, at least in the top 15 or 20. 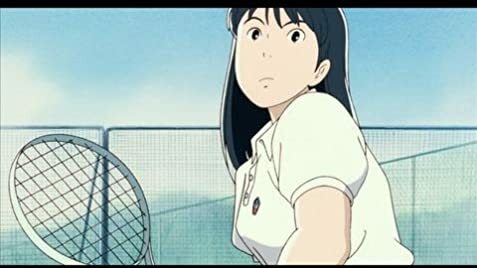 It's not quite in the same league as The Grave of the Fireflies, Princess Mononoke, Spirited Away, Akira, My Neighbor Totoro, Whisper of the Heart, Only Yesterday, or a few other excellent anime I have had a chance to see, but it is easily better than 99% of the rest of the animated films out there. Highly recommended. At least an 8/10. 33 of 36 people found this review helpful. Was this review helpful to you?